One of the greatest joys of judging mogul skiing is seeing great skiing. We saw plenty at PC this past weekend and at the make-up mogul event on Monday. There is lots to celebrate and lots of thanks to PCSS – Sharlee, Chris, Ryan (to name a few) and the many volunteers that made the 3 day event happen. 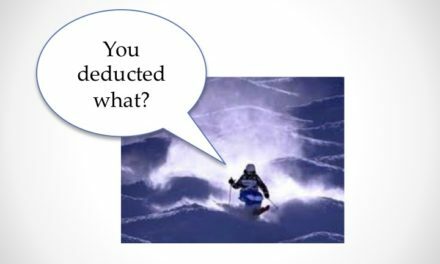 When I share in conversations that I judge mogul skiing the first comment I usually hear… “I don’t get how those skiers do that – ski through those bumps and then do a trick.” I agree it is an incredible combination of skills a mogul skier needs. 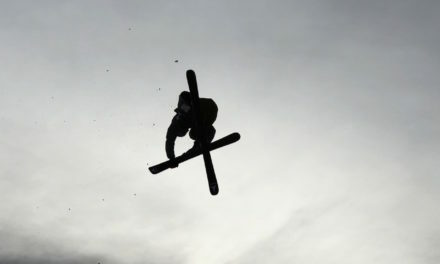 Mogul skiers need to ski through bumps with speed and to control speed along with preforming a trick from uprights to a back double full or cork 10 with a grab. Wow! So thanks to all the Intermountain athletes that showed up this weekend to show off their skills that they learned so far and more to come in the future. I also noticed there were skiers from other divisions (East and Far West), which is awesome – thanks for joining us this weekend. Lastly thanks to the parents and coaches – without your support, knowledge, and enthusiasm this sport can not sustain itself. 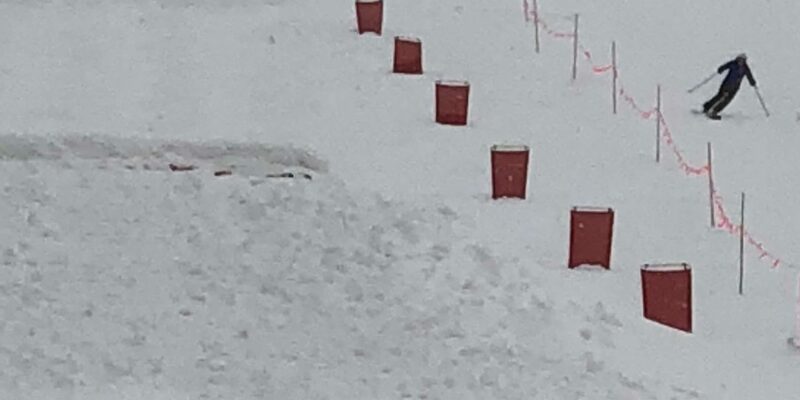 As stated at the beginning I do enjoy judging, however to be honest, one thing that always frustrating to see is a skier “straight-lining” the mogul section after the second jump to the finish line. Shooting is a deduction in the turn score (rule 6204.4.1). Judges use the control gates along side the course to gauge how much of the course did not involve turns, which rule 6204.1 describes turns as “rhythmic changes in direction of travel to either side of the fall line, utilizing, controlled technique.” At the PC mogul course this section of the course was worth 3 points out of the total 20 points each of 3 turn judges can award. So it is disheartening to see a good solid run to then deduct 2 points for shooting. 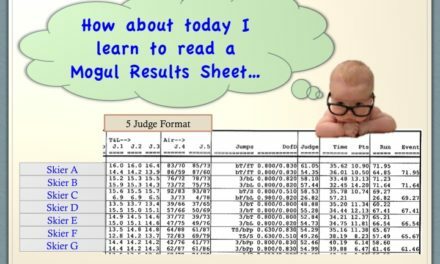 And this is not just 2 points – it is 2 points multiplied by 3 judges so 6 points (a little more math, 6 points is 10% of the total 60 points allocated to turns). 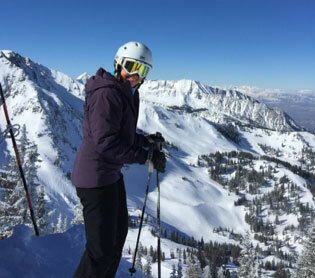 Fortunately, I had a wonderful discussion with a Wasatch Freestyle Coach, Rick Shanor, and he explained to me that skiers know they are suppose to turn all the way to the finish line, but some skiers just don’t have anything left after the second jump. That was great to learn because having compassion and understanding is easier than having frustration. Looking forward to our mogul events at the Bird this coming weekend. Ski Well! 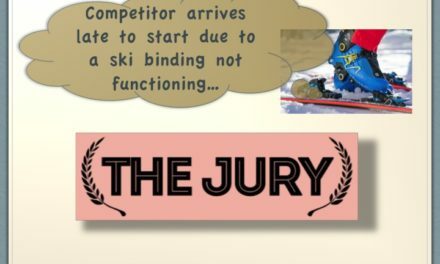 NextWhy is there a jury?